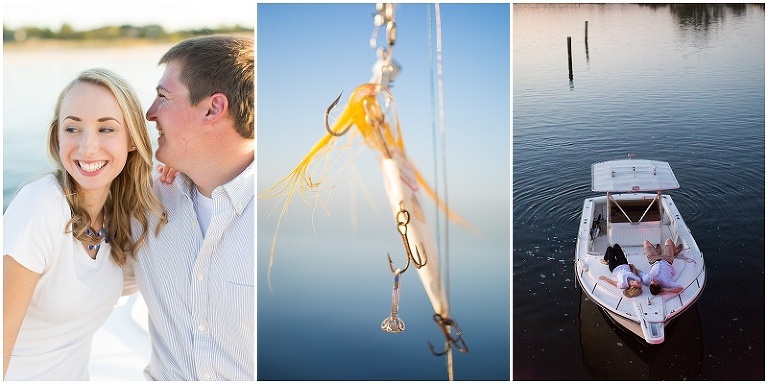 What I loved most about Lauren and Kyle’s engagement session was how personal it was to them! These two met in college while attending Salisbury University and now live just outside of Cambridge close to the bay. 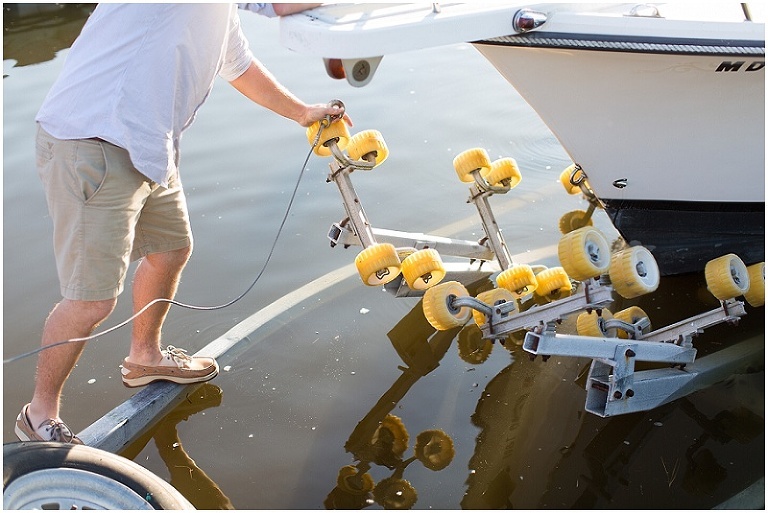 One of their favorite activities is taking their Shamrock boat down the Choptank River to fish. They also love to stop at White Hall Beach so Lauren can look for sea glass, one of her hobbies. For the proposal, Kyle had the fantastic idea of taking Lauren to Chincoteague Island and suggested to her that they look for sea glass. They happened to find some really old Coke bottles from the 40’s and Kyle also popped the question! A yes was heard and shortly after these two contacted me about an engagement shoot. 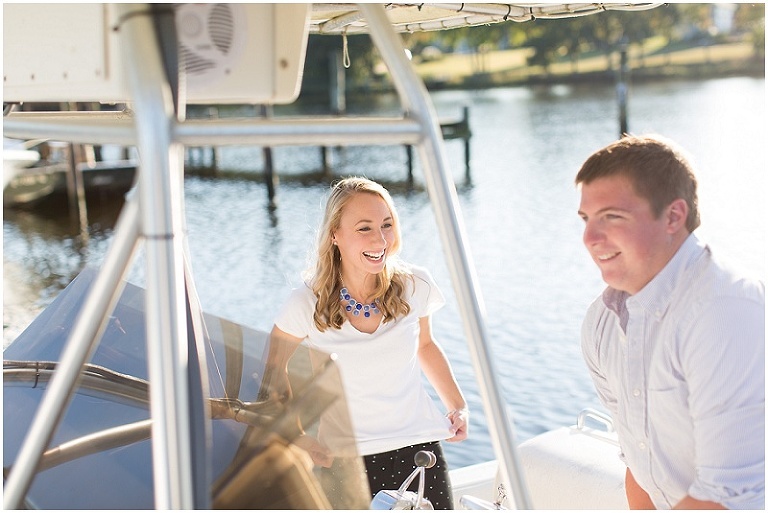 A trip on their boat and visit to White Hall Beach was the perfect plan!